Unawatuna is a fantastic place to visit. There is lots to see from beaches, surfing, snorkelling and more. Find out the top things to do in Unwatuna now. Unawatuna is located in the South of Sri Lanka and it’s a FANTASTIC place to visit. It’s probably my favourite place in Sri Lanka, so sit back whilst I take you through 12 amazing things to do in Unawatuna in this full-throttle Unawatuna travel guide. I would recommend doing uber over a “normal” taxi because you are going to get ripped off. Whereas with uber, the price is always what it should be and you can’t get haggled into paying more as you can pay via your card online. Oh, and you can use the airport wifi to order an uber (that’s what we did). Once you get sorted, pop into a shop and buy a sim card. It’s stupidly cheap for data so it’s worth having. OR get the train to Matara-train (with ocean-view) and stop at Galle (takes almost three hours, 220 rps) and take either a tuk-tuk at approx 400 rps or local bus from Galle to Unawatuna. So there are options depending on what you want to do budget and time-wise. Your final option is to rent a tuk-tuk in Colombo for the duration that you are in Sri Lanka and drive yourself around to Unawatuna. We rented a tuk-tuk for 4 weeks and it made the trip so much better. We could go where we wanted when we wanted! It cost us $18 a day, and you can find out more here. - It’s a unique experience becoming your own tuk-tuk driver! The best time to visit Unawatuna is from December to March when there is the least rain. BUT saying that, we visited in October and there was one day of rain and then the sun was scorching. So you can visit them too. The season actually picks up a bit in October onwards, so it’s not a bad time to get some atmosphere but still experience off-peak prices. What are the top things to do in Unawatuna? Unawatuna beach is the main strip of beach in Unawatuna and its filled with wonderful places to eat, relax and swim. It’s a fairly touristy beach, but I think it’s a great place to relax during the day, go for a swim, or simply dine in the evening. Bradley and I dined on the beachfront every evening we were there. It’s a lovely atmosphere and you are right on the beach so you can hear the sound of the waves. There is a LOT of choices when it comes to places to eat, and there is something to suit every budget. I suggest going for a walk up and down (probably take around 15-20 minutes to complete) and then decide which one looks best. We’ve all seen it. It’s the iconic picture of Unawatuna. The “coconut swing” at Dalawella beach. I don’t know if there was just one originally, but there is two now. Either way, you can’t visit this beach and not get your picture taken. I sent Brad on the swing whilst I tried to catch the perfect shot. You can see how I did below! P.S. This made it onto our list of the 50 best things to see and do in Sri Lanka, so don't pass it up! It cost us 300 for the swing and he could swing about 4 times so I could get the right picture. I believe it can rise to 500 in “peak” season, but it’s still very cheap for an iconic picture. 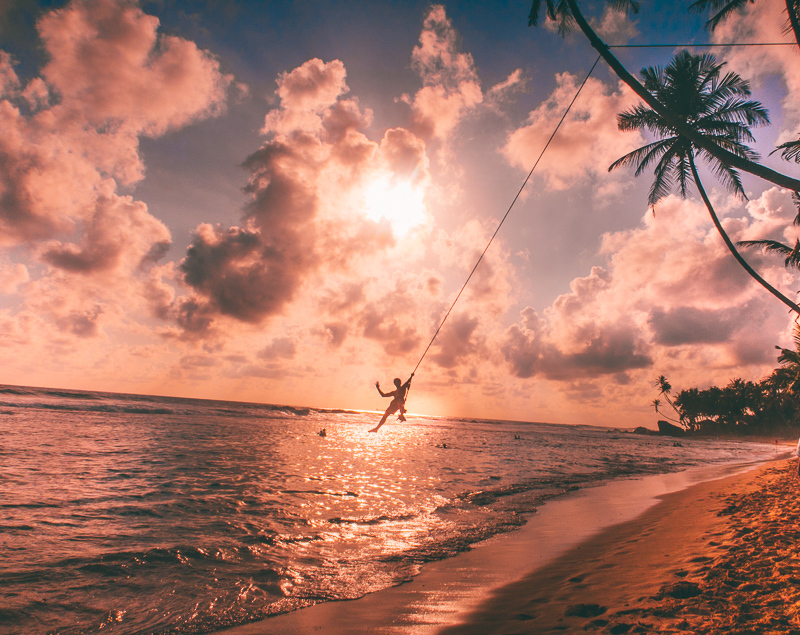 Oh, and it’s a coconut swing because you are swinging on a coconut tree. I don’t think it matters which one you go on either. They both offer a beautiful backdrop. Hell, go on both if you want when it's that cheap! Definitely one of the more touristy things to do in Unawatuna- but so worth it! 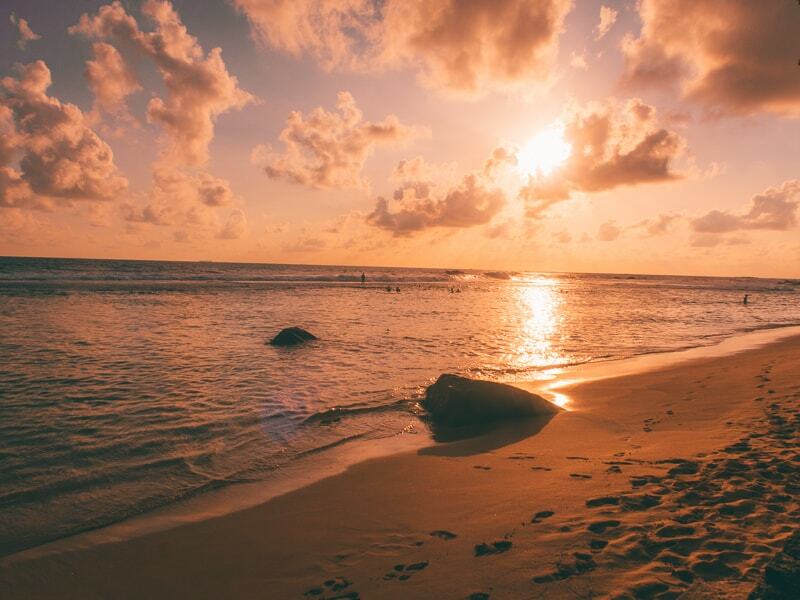 Oh, and just so you know, this beach has the BEST sunset view. So I would sit at one of the beach bars, sip on a cocktail and be prepared to be amazed by the pinks and oranges that will greet you. There are a variety of surf spots in Unawatuna and its surrounding area, but this place represents the perfect surfing conditions, especially from October (When we were there). The surf leaves the famous Arugam Bay in October and heads to the South Coast and this beach offers a variety of waves perfect for all levels. You can get lessons for around 2000, which is about £10 which is brilliant value. They typically last 1.5 hours and you get the board included. So if you want to learn to surf in Sri Lanka, this is one of the best spots. There are surf shops located on the beach and you just need to walk down and they’ll come running to you. There is also little beach bars and sunbeds to chill on for those who aren’t surfing (i.e me). This is one of the more unique things to do in Unawatuna. I say unique because I didn’t know about it until a couple of days before we got there. We saw it in the Sri Lankan backpacking group and I am SO glad we did. 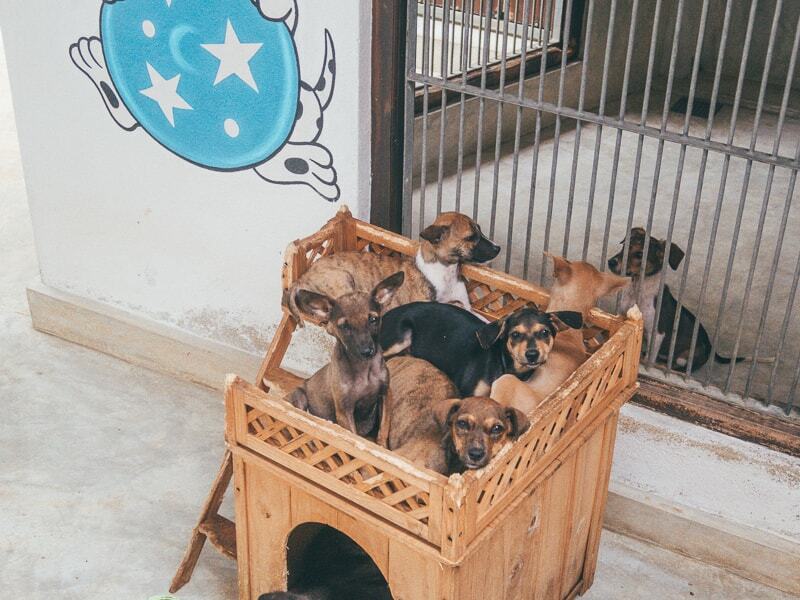 It’s basically the ONLY self-funding rescue centre for dogs in all of Sri Lanka. And with 40 million strays, you can imagine the challenge they are facing. You can visit the clinic and meet some of the dogs and see how things work. I highly recommend it because you get to meet some VERY unique doggies, and of course lots of puppies. I did a full post on the experience here. 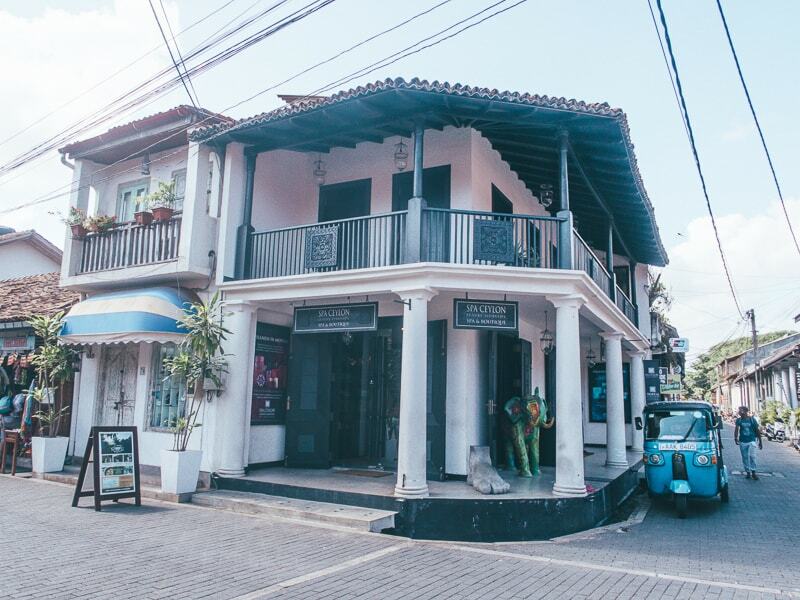 Galle Fort is in “Galle” which is basically a 15-minute tuk-tuk drive from Unawatuna. If you don’t want to go by tuk-tuk, you can easily rent mopeds in Unawatuna for cheap. Also, there are lots of great souvenir shops to find gifts. So if this is one of your last stops in Sri Lanka (which it was for us) then buy your stuff here. There is also an awesome gelato shop called which does the yummiest gelato ever. I recommend eating it in the air-conditioned cafe as I stepped outside and mine melted in about 30 seconds ( I am not exaggerating). It became a chase to eat it before it melted to the ground. Strawberry is AMAZING and peanut butter is delicious. 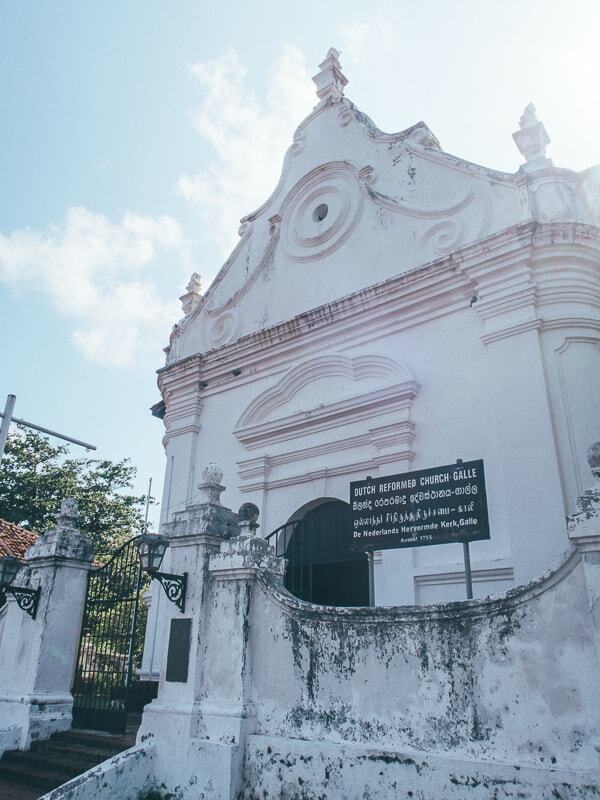 For more information on Galle Fort, you can check out our mini Galle travel guide. 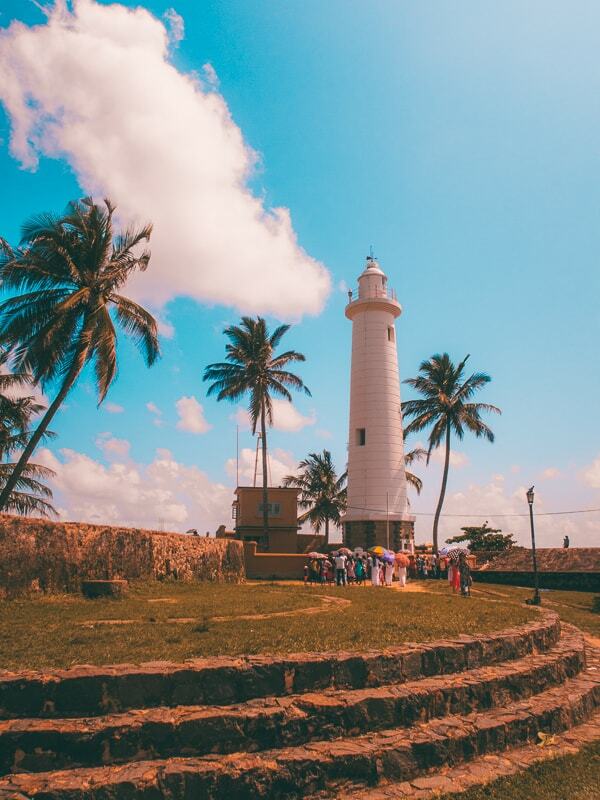 Galle Lighthouse is within the Galle Fort complex and it’s a beautiful sight to behold. Basically, it’s beautiful because it looks out of place. That’s the thing with Galle Fort in general. It all feels very European, which is a nice contrast to the Sri Lankan qualities that surround it. 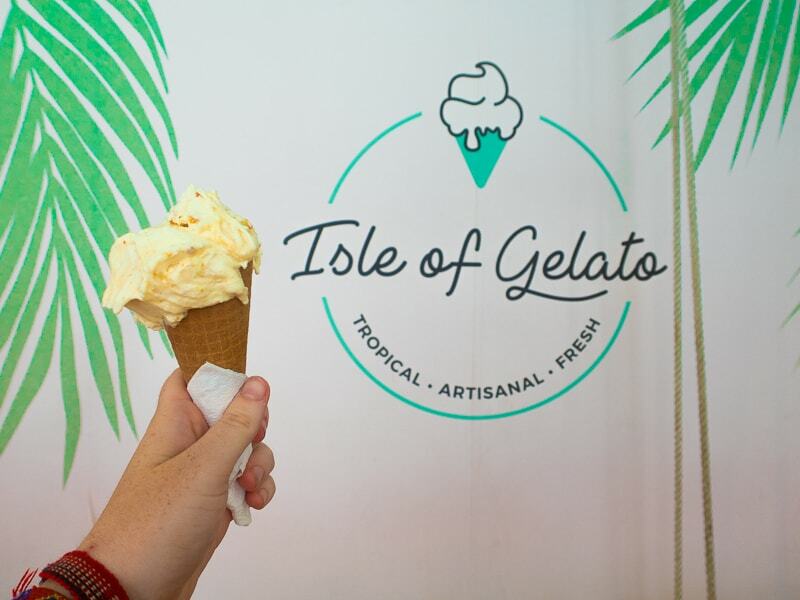 Galle lights out is a perfect spot for photos, chilling with an ice cream or simply admiring the view behind it. I imagine it looks amazing in the sunset too. Snorkelling is possible in lots of areas in Sri Lanka, and in Unawatuna, the snorkel spot is Jungle Beach. Jungle Beach is a tiny, semi-hidden bay surrounded by jungle. A coral reef is located just a few meters out from the beach. We didn’t snorkel here personally, but this guide will tell you EVERYTHING you need to know, from getting there (and not getting ripped off by locals), and where to get good value snorkel gear (you need it before you get to the beach, there won’t be any vendors to buy from there). If you like turtles as much as I do, then you’ll want to see the turtle sanctuary in Unawatuna. This is without a doubt one of the best things to do in Unawatuna. It’s like a little hospital for turtles. The turtles are usually saved from plastic and other human-based stuff that causes them to get stuck. You can see turtles with missing (legs?!? ), or shells are broken etc, and you get to see and hold baby turtles. Baby turtles are like the cutest thing ever. When they swim, it’s just the most adorable thing-- seriously. 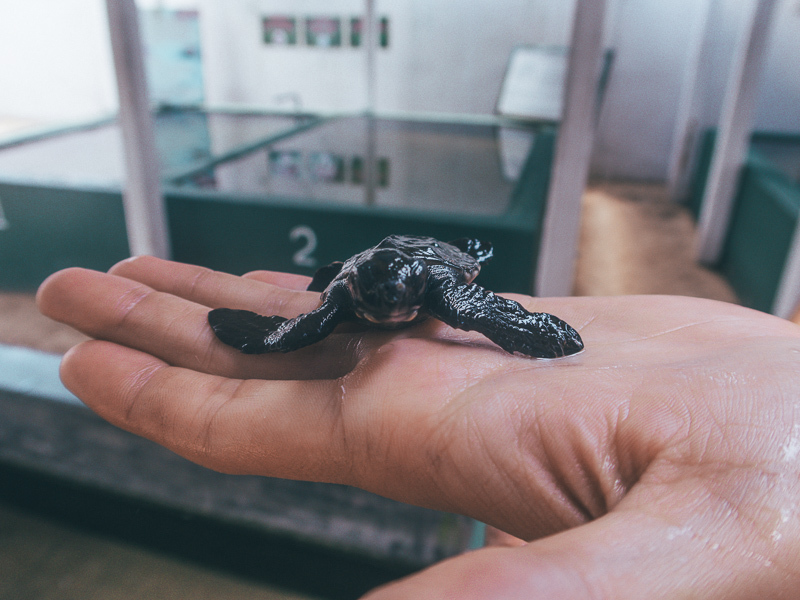 It’s called the sea turtle hatchery and you can find out more here from their website. Entrance Fee: LKR 500.00 per person. You can find turtles to swim with at Dalawella beach just beside the swing. There is a little-enclosed swimming pool type area (enclosed via the rocks) and there are turtles in there. Basically just at the man at the swing and he will point you in the right direction. I will be honest and say we didn’t make it here, but according to reviews it’s very beautiful and the pictures look good, so it’s made it on my list of top things to do in Unawatuna. It’s located on the hillside west of Unawatuna, and this impressive pagoda was built by Japanese Buddhist monks of the Mahayana sect in 2005, as part of their scheme to build peace temples in conflict zones (back in the Sri Lankan wartime). It requires a steep 20-minute hike from the west area of Unawatuna beach. Remember to dress moderately, or at least bring a sarong with you to cover up. This is the perfect spot for sunbathing and relaxing with a book. If you’re on the lookout for a picturesque beach with turquoise waters and white sand, then you’ve found it. This beach isn’t over-touristy yet, so it’s a good place to escape the hustle and bustle of the other streets. Bradley has created a whole guide on the best surf spots in Sri Lanka which will provide you with all the in-depth knowledge you need to surf in Sri Lanka, BUT, I thought I’d list the best spots in Unawatuna. How long should I stay in Unawatuna? 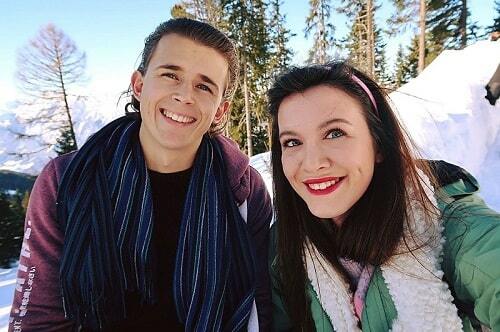 Forever? No really, you’ll fall in love with this place and you’ll want to stay longer than intended. Bradley and I were running out of time on our visa and could only stay in Unawatuna for two nights. Biggest regret of Sri Lanka ever. I wish we skipped boring Mullaitivu in the north (don’t bother going), and saved that time for Unawatuna. So, I would recommend staying here for at LEAST four nights, but if you really want to surf, relax and chill, then a week is optimal. If you do stay in Unawatuna for a week or longer then there are some day trips you can take. Mirissa is another of my favourite places in Sri Lanka and if you’re on the lookout for different things to do in Unawatuna, then head up the coast and visit beautiful Mirissa. 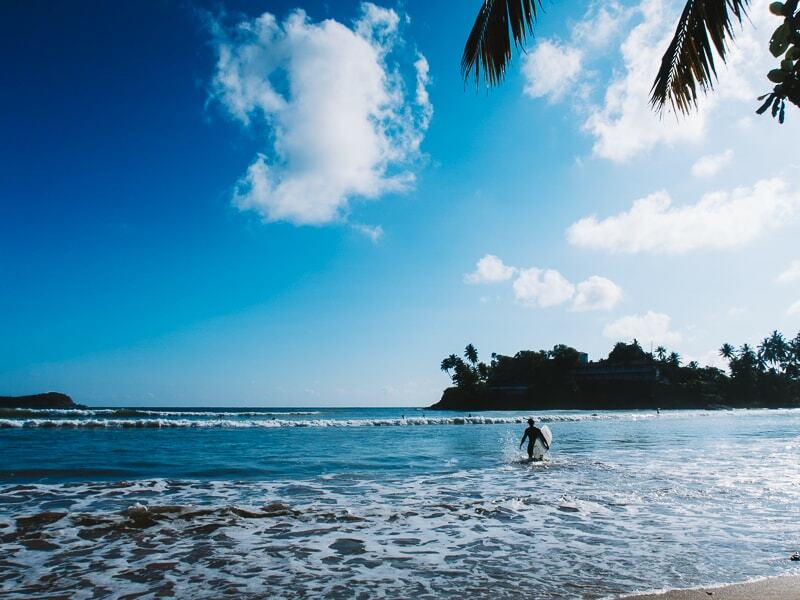 There are lots to see here including beautiful beaches, secret beaches, coconut farms and great surf spots! Also, they have a strip of wonderful restaurants on the beach that serve delicious food and the cheapest cocktails in all of Sri Lanka: 300 from 3 pm until 10 pm. That’s like 1.30 for a cocktail! Mirissa is also known for its partying. 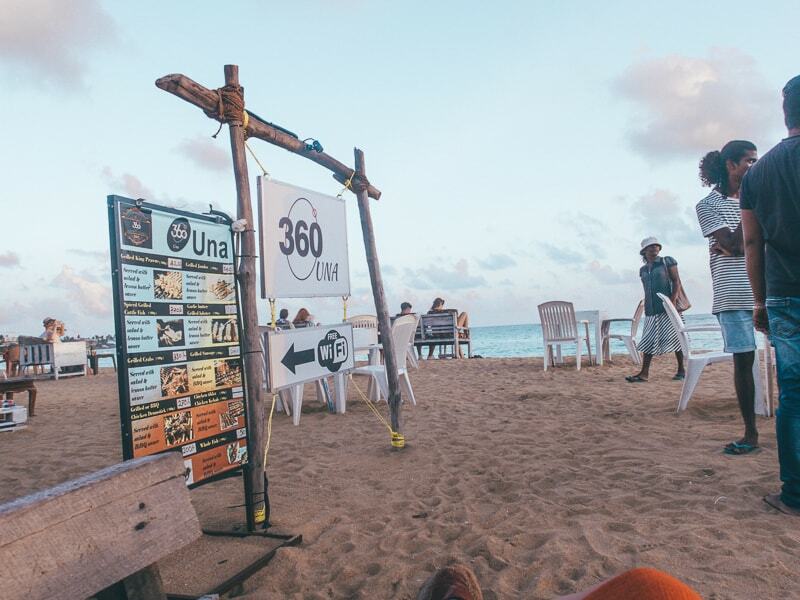 There are lots of little “clubs” on the beach that have parties every night, so if you’re looking to dance and drink and meet new people, then this is a great spot. It’s also a great spot for bodyboarding, and it’s super cheap! Mirissa is only 40 minutes from Unawatuna, so it’s worth visiting, especially if you’re just in Unawatuna for a holiday and aren’t planning to explore the rest of Sri Lanka. If you want to experience some of the most beautiful waters I have ever seen in the world, then go to Hikkaduwa, Sri Lanka. The drive itself is worth it, and I’d recommend packing a picnic and chilling at the beach. 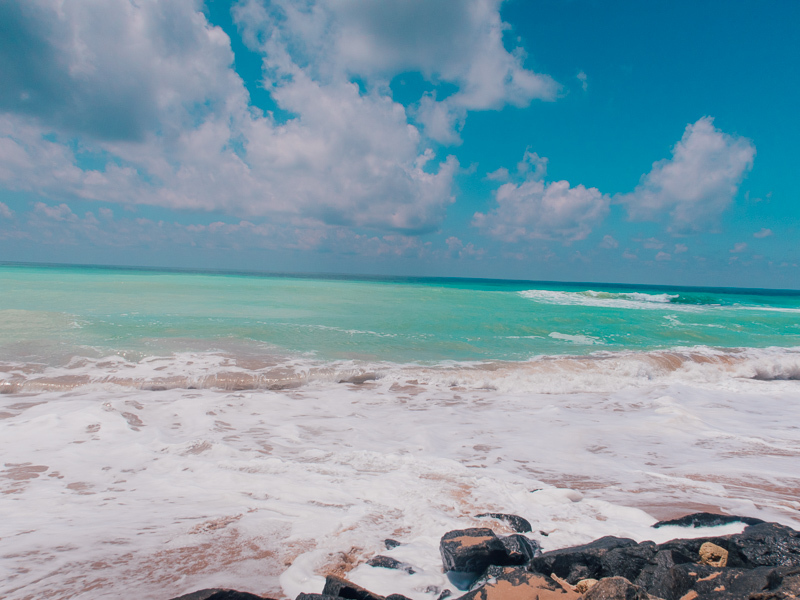 Don’t drive to a specific part, just drive until you see pure blue water and stop and admire. Don’t swim here because the waves are too strong and there is no one to help you. Hikkaduwa itself is also known for its nightlife, so you can party here too! It’s a 40-minute journey from Unawatuna. 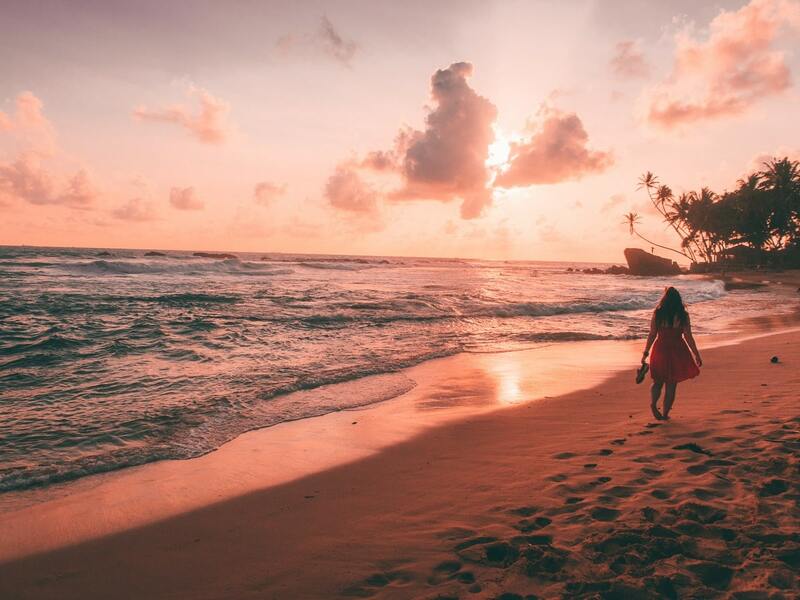 Best beach in Unawatuna for couples: If you’re looking for a romantic sunset then I’d say Dalawella beach, or if you want a romantic dinner, then Unawatuna beach. 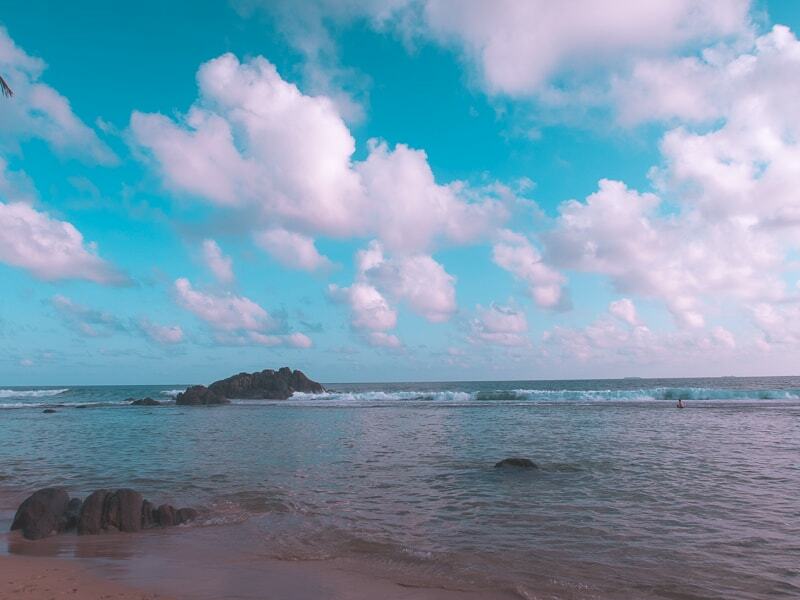 Best beach in Unawatuna for families: I think Unawatuna beach is a good choice or even Mihiripenna Beach because it’s quiet. Best beach in Unawatuna for dining: Unawatuna beach itself offers the best dining options on the beach. If you don’t find something you like here, then you’ve no chance. Now you’ve got your list of amazing things to do in Unawatuna sorted, you’ll need somewhere to stay. Thankfully you’ve got lots of choices when it comes to accommodation in Unawatuna. Whether you’re looking for budget, mid-range or luxurious, there will be something to suit you. I recommend using booking.com to get the best prices. You can check out our post on villas in Unawatuna for some accommodation inspiration. 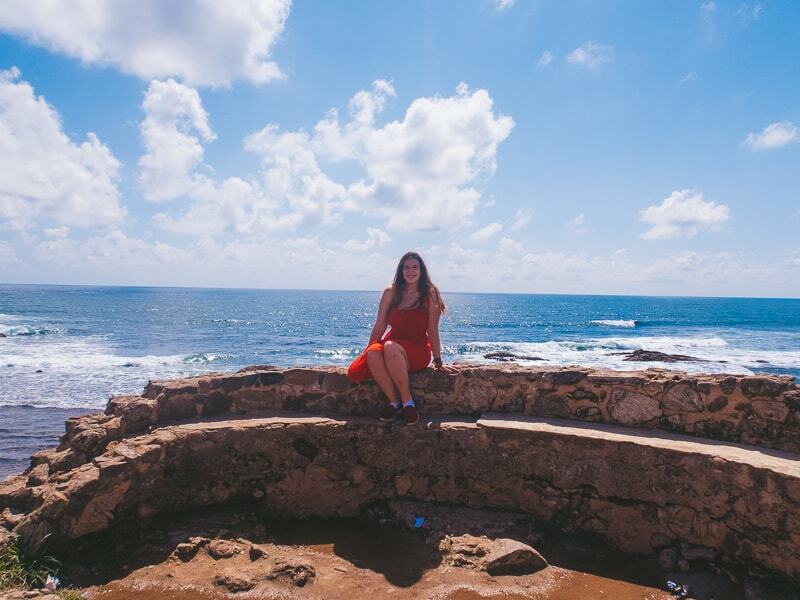 I hope you’ve enjoyed my post on the top things to do in Unawatuna and if you’ve got anything else you think I should enter on the list, then drop me a comment!